Global climate change is increasingly recognized as one of the most serious threats to our safety and wellbeing. The UN has warned of potentially irreversible damage to our biosphere and way of life if we do not take drastic action to move our economies away from fossil fuels. 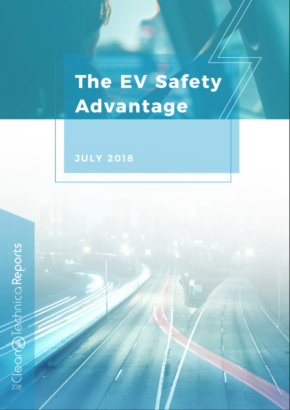 Accelerating this transition is Tesla’s mission, and a small non-profit based in Boston has a plan to make it happen in the United States. Climate XChange has spent the past five years modeling, researching and advocating for a carbon pricing scheme in the state of Massachusetts. Carbon pricing is a proven and effective policy tool to decentivize fossil fuel consumption, improve the health of our communities, and mitigate climate change. In order to make this a reality, they need your help – and you might win something super exciting in return. The organization is raffling off not one, but three brand new Teslas this New Year’s Day. You read that right: one ticket gets you three chances at winning the car of your dreams and helps a fantastic cause – so really, you win either way! Get your tickets here! Tickets are capped, and they are going fast, because not only does Climate XChange pay for the car prizes, they are also covering the taxes – which is pretty amazing, too. Since the raffle is taking place on New Year’s Day, tickets also make for a great gift this holiday season. You can give your loved ones a climate-conscious gift and a chance at winning big! This is perfect for both car enthusiasts, and environmentalists – and is also a great way to show your employees some appreciation during the holidays. Grand Prize winner can CHOOSE which Tesla for their winning: a Model X, Model S, or Model 3. Second and third prize winners will receive a Model 3 (see all legal and winnings details here). 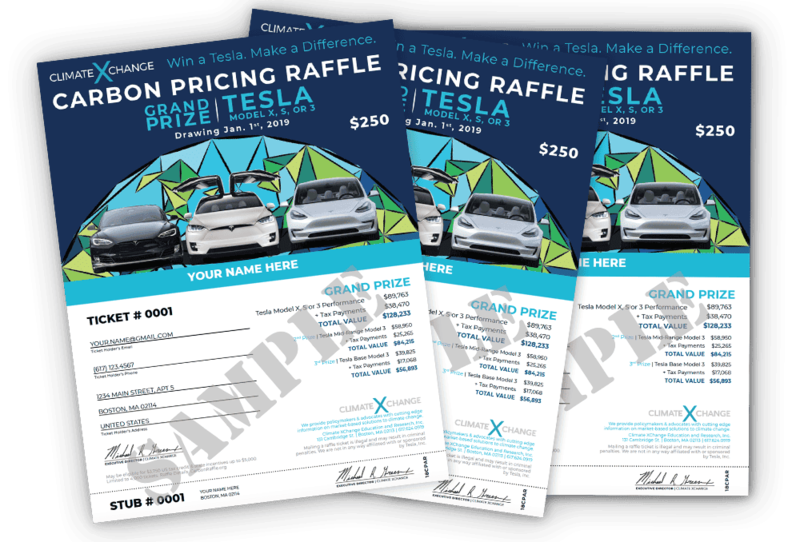 Winners of the raffle who do not wish to acquire a Tesla can instead opt for a cash prizes. Giving is great, winning is better – you can do both by supporting the good work of this non-profit. There has been increasing attention on carbon pricing schemes at both the global and local level. Consider this a way to do your part in supporting action on climate change. Enter to win a Tesla from Climate XChange here!